The Rocky Patel Edge Robusto Corojo is tagged with free shipping. If you order this product, your entire order will receive FREE BCP Ship Saver shipping! The below item has a MSRP of $40.00 and normally sells for $26.99 Get it now for $14.00 when you add Rocky Patel Edge Robusto Corojo to your cart. Now and in the past I find that 80% of these cigars have a great draw and flavor. Every box contains a few that are nearly impossible to draw...just too tightly constructed. Of these, there's always at least one that has a bitter off flavor. At the price point of these smokes, they should all be 100% enjoyable. 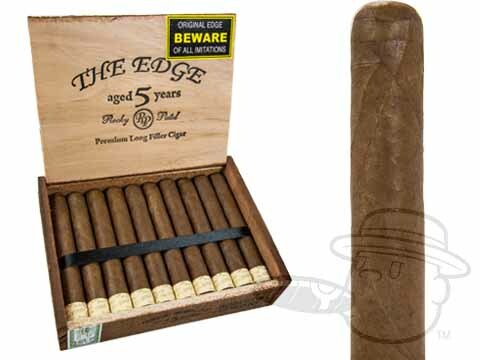 Rocky Patel Edge Robusto Corojo is rated 4.4 out of 5 based on 1 customer ratings.